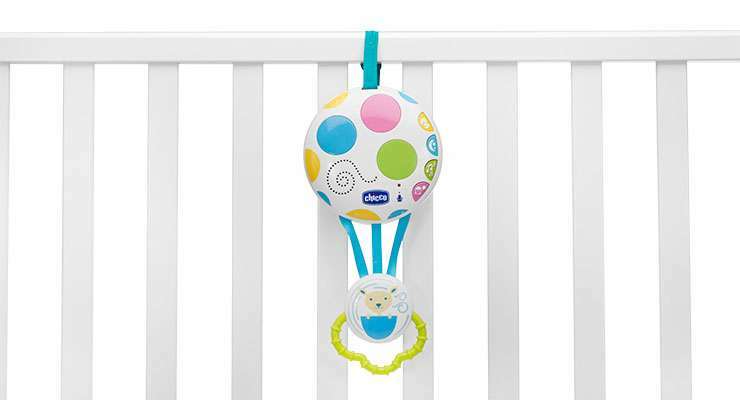 Balloon: Relaxation and fun for your baby! 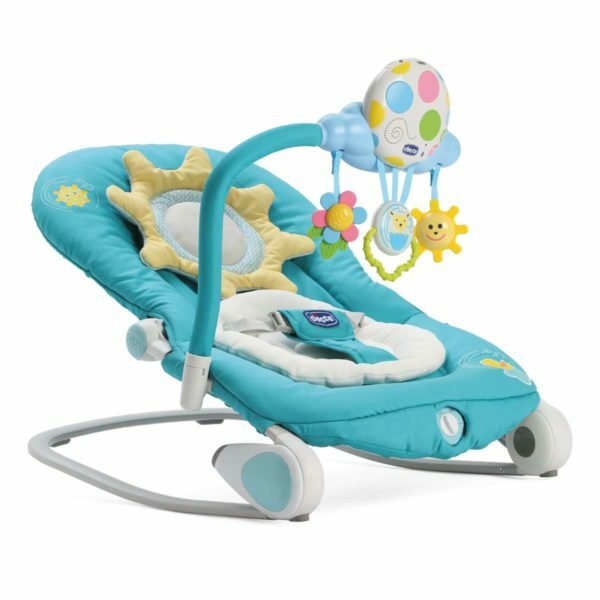 Balloon bouncer will welcome your baby in total comfort and relaxation, making him feel safe as if he was in your arms and keep him entertained him at all times with colorful lights, sound and plush toys. 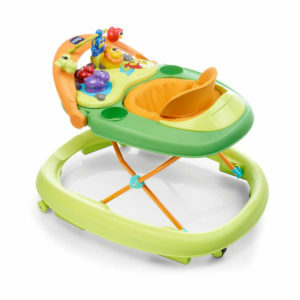 Electronic toy bar with coloured lights, 6 nature sounds and 6 tunes to keep your baby relaxed and entertained. 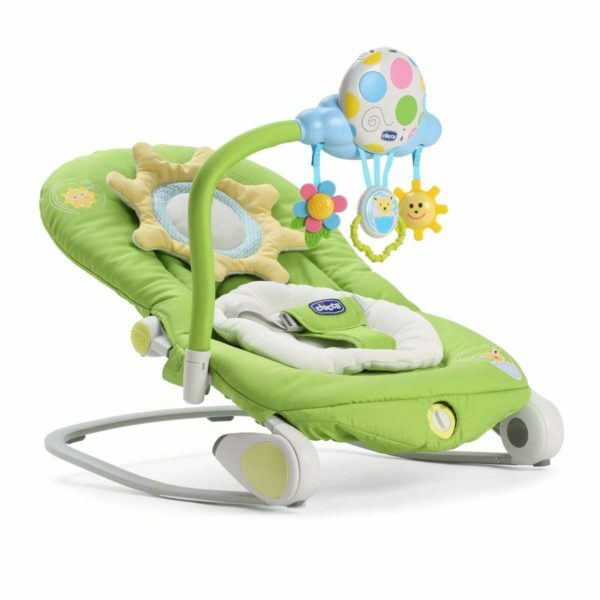 It has 3 hanging toys to stimulate baby’s touch and psychologial abilities. The panel has a recorder and speakers letting you record small messages or lullabies of 30 seconds in your own voice. 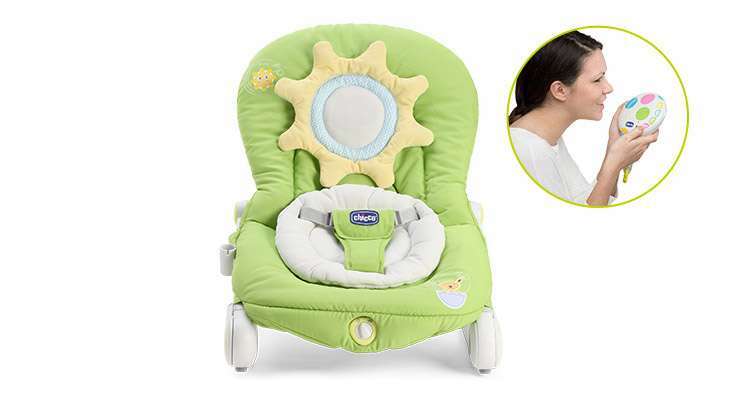 The entertainment panel is detachable and can be fixed on to the cot, giving company to your baby while he falls asleep. 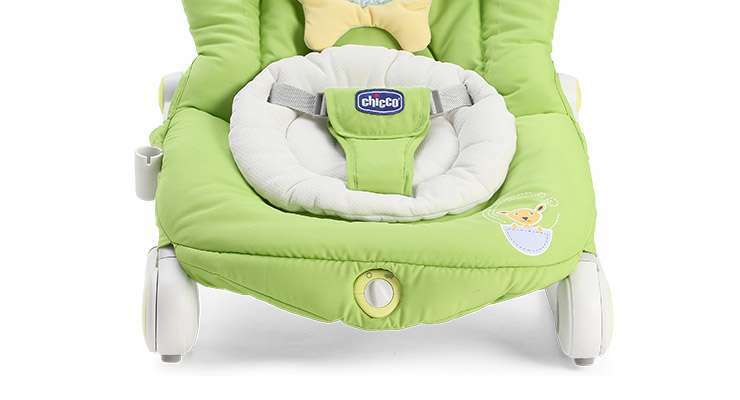 From birth to 6months, use as a bouncer. 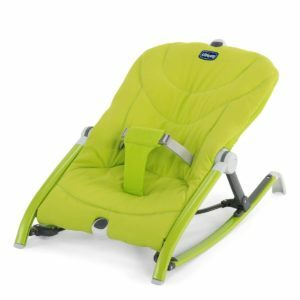 With a removable headrest and a seat reducer to accomodate your baby’s growth. .
From 12 months onwards to 18Kg, you can take off the straps and use the balloon as the soft first chair. 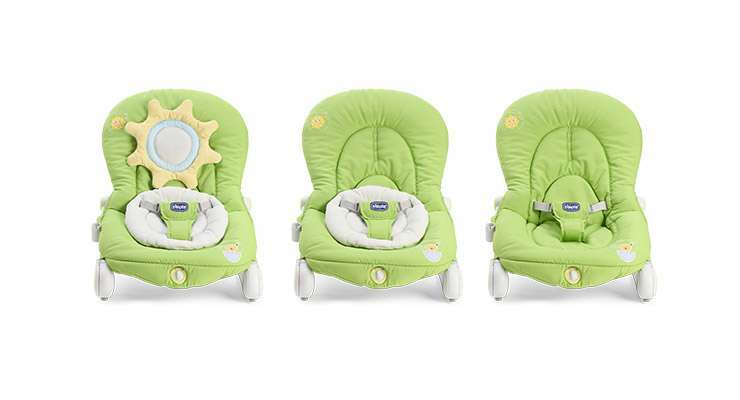 The backrest is adjustable in 4-positions to fit your baby’s need and comfort. 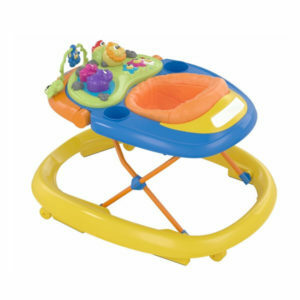 The bouncer can easily be trnsformed into a rocking chair. 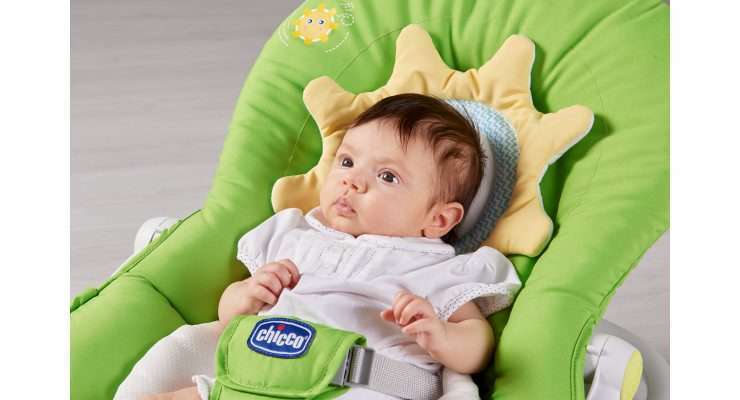 Option of activating gentle vibrations, for relaxtion of your baby. 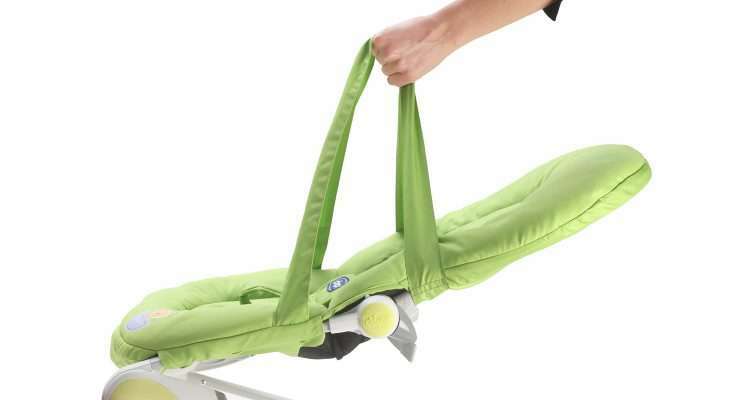 Compact and easy to fold, with 2 soft handy straps for carrying.